Cloth diapers are becoming more and more popular at my house, folks. Tim and I have been a bit at odds with each other on cloth diapers, but as soon as I realized that he didn’t mind, and in fact, even enjoyed using the all in one (AIO) diapers, I focused my efforts there, and we haven’t really looked back. I still use the fitted and pocket diapers we have, but I have tried to make sure that we have a decent supply of AIO diapers on hand so that Tim can just grab them and go. He wants diapers that are just as easy to use as disposables, and that’s pretty much AIO diapers, in a nut shell. 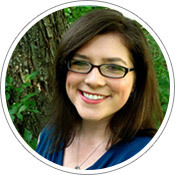 Today I want you to meet Jenny, a fabulous work at home mom from Savannah. She has a degree in fibers and textile design, and she has put that degree to work in an effort to come up with beautiful and functional cloth diapers through her Etsy shop, Young Blood. She has been putting her diaper designs to the test with her own baby, and over the past 1 1/2 years, has worked hard to create the perfect AIO diaper. Jenny sells her AIO diapers for $18.00 (the price of a 1 week supply of Huggies Pure and Natural diapers!) and she offers them in very cool patterns. My favorites include the newborn diaper (with a cut out for the umbilical cord!) in the blue hearts pattern and the small blue cloth diaper that has the gorgeous blue fabric on the inside (guess I’m in a “blue” mood today!). Give Young Blood diapers a try if you are in the market for something new! If you are curious about trying out cloth, or if you are already a convert and would love to add a new diaper from a great small business, now is your chance! Jenny is offering one lucky Stuff Parents Need reader an AIO cloth diaper! The winner will receive their choice of size (newborn, medium or large) in this fabulous monkey print. I love it! The contest will run until June 17th at 7:59pm CST when a winner will be selected using Random.org. The winner will be emailed and will have 48 hours to respond before the prize is forfeited and a new winner is selected. Open to residents of the United States. Mandatory Entry: Tell me the size diaper you want if you win AND one other diaper that you really like in the shop! I would like a newborn size because i am due in two weeks and I like the red and white polka dot one! I would like the Smal size and I also like the AIO Small Cloth Diaper with the Safari Animal Print. I’m a YB Facebook Fan Jennifer G.
Size large 🙂 And the lady bug print rocks since my daughters nickname is bug after all her ladybug stuff! I would love the newborn or small size.. and I love the polka dot one.. ALSO the lady bug one too.. lol.. they are so cute!!! Liked young blood on facebook. Following you on twitter already. I Like Young Blood on Facebook. would love a small in the monkey print. that's def my fave! Friended on Face book Med if I win please. I would like the newborn size. The Large AIO Cloth Diaper–stripes and the Strawberry Bottom AIO (all in one) Small Cloth Diaper look great! I would like it in size Newborn. I also love the Lady Bug Baby Bib! large jungle print ty . I really like the red polkadot diaper (http://www.etsy.com/listing/26431391/aio-newborn-cloth-diaper) and if I won, I would want a newborn size of the monkey print! I love that Monkey print! In size large. =) I'd also go for the flaming skulls, because I love incongruous baby prints. I would like a newborn-sized diaper, if I win. 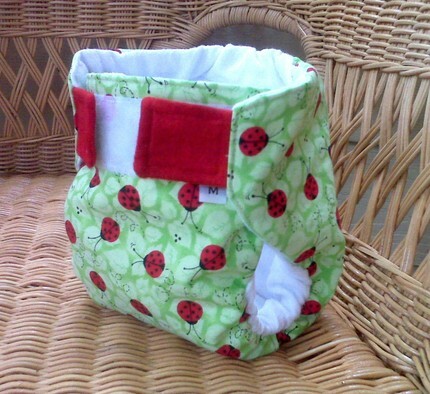 My fav diaper in the shop is the Strawberry Bottom AIO (all in one) Small Cloth Diaper. I subscribe via Google Friend Connect. I would like the small size, and I also love the small blue diaper! I would need a medium, and I love the polka dots! I like Young Blood on Facebook. I follow Stuff Parents Need on Twitter (MadelineMiller). I follow you on Google Friend Connect. I would like the newborn size and I love the cat print. I would love a size small. I also love the butterfly print. I subscribe to your blog via RSS. I would get a size large if I won. And I really like the blue skull print diaper! very cute! I would pick a medium if I won. And I love the black/pink butterfly print in the etsy shop. I would like the size medium! I also think the ladybug print is the cutest!!! Oh MY Gosh!! The butterfly print is adorable! I would like size medium! I love the butterfly print….medium size for me and I am a new follower!!! I would need a large diaper. I also love the Jungle Print AIO diaper. I'd like the large size. I also love the cat print diaper. Very cute! Like on facebook on my blog page "the helpful sister"
I would get the newborn. I am also in awe of that cute lion print! And hey we had a baby in the same exact month, how neat! I would love a medium size and the small blue is super cute too! I would love a newborn size and I really like the safari animals print. I would like a monkey one in size medium. I like the blue skulls print, also. I would need a size medium. I like the blue cloth diaper from her site, but would need it in a medium. I follow on Twitter (winstaem). I would like to win size M. I also like the AIO blue cloth diaper. Liked Young blood on facebook!!! I am now a a blog follower! I would need a medium since that is where we are currently at in our clothe diapering adventure. I love her work and the newborn diaper with the cut out is awesome! If I won I would need a Large dipe..Also love the blue stripe diaper pattern! I love the blue skulls! I would need a medium. I would need a size medium. I LOVE the blue stripes! I am an Etsy-aholic so am adding this shop to my favorites! I would need the large, but the ladybug print is really cute! I would want a size small. I really love the Med. Butterfly print. I would like the medium diaper and I also like the ladybug or butterfly diapers. They are too cute! I would need a medium diaper. I really liked the jungle print diaper…my son's bedding is made from the same print. How cute to be matching!! I am a fan of Young Blood via Facebook as Jill Myrick. I would love to have the Sz. Small in the green Jungle Print. I like YoungBloods on FB! I would get a size large and I just really love the ladybug print! Love the newborn cloth diaper in general…. I would choose a size large for my son. The other item I like is AIO diaper in the Train print! So cute! I would like a newborn size. Love this one! I would need a large one in the monkey print for my little guy, but I love the ladybug print. Small. I love the safari animal print. i'd want a medium in the butterfly print! I'd like a medium diaper. I also like the heart diaper. Please come and follow me back! I became a follower on your site. I love the monkey prints. I also like the blue swirly print. I like the red polka dots. I would need a size large and I also like the train print! i would get the medium and looooove the AIO small blue cloth diaper! I have a 7 month old girl in the strawberry bottom print. Following through Google Friend Connect. I would get Large. I also like the Train print! I'd choose the newborn size, and I also love the brown and blue hearts print diaper! would need the newborn size. I love the AIO Small Blue Cloth Diaper! I would like to try medium, since that's the size my kids tend to stay at the longest. In the shop, I like the stripes diaper! I "liked" Young Blood on FB. I would like a newborn size for my soon-to-be newborn. Another diaper design that I really like is the small blue AIO. SO adorable! I like the diaper with all the animals on it the lion monkey and elephant. In size small. I would choose the newborn size (just thinking ahead!) lol! Love the monkey print! I follow you on twitter @jmeelle. I would like a small. I also like the small blue print listed. Large please in trains! Thanks! I'd need size small, and like newborn diaper. Would need a med size and LOVE the train print!!! Oops, I forgot the mandatory! I would want size small and I also like the ladybug print! I like the pink with black butterflies! I'd like to try the medium size. I want to start cloth diapers. I tweeted about your giveaway. I'd like a medium diaper. I also love the AIO blue diaper! I would need a large, and I love the small blue print too! I follow your blog publicly via friend connect. I would get the size small diaper, and I love the animal print newborn diaper on her etsy site! I would like the large size. And I liked the trains or stripes print too! If I win I'd like medium for my little girl. Another diaper I really like is actually the ladybug diaper. Ladybugs are a big thing in my house and I find the colors fun too! I would need a medium. I like the blye hearts but it's probably too girly! subscribe to your blog via Google Friend Connect. I would like small size. My favorite diaper is the AIO Newborn Cloth Diaper. 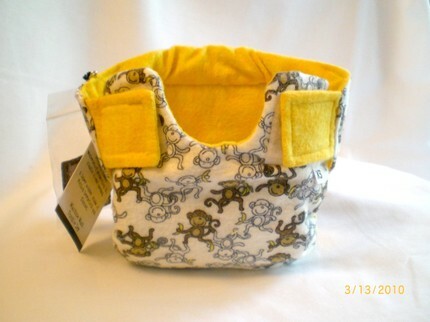 I would love to be entered for the newborn monkey print!! I also love the small blue print!! Her diapers are soooo cute!! I subscribe with Google Connect. I would like the newborn size, and I also like the small Ladybug print – it's so cute!